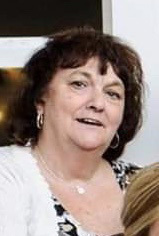 Obituary for Carol L. "Cindy" (Krumpak) Jones | Robert L. Snyder Funeral Home and Crematory Inc.
Carol L. Jones "Cindy", Wasser Road, Hempfield Twp. passed away at the West Penn Hospital, Pittsburgh on January 23, 2019. She was 71. Carol was born in Greenville on March 17, 1947 a daughter of the late Micky and Ruth (McMillen) Krumpak. In her younger years she had worked as a florist, then went onto manage the former Hello Shop in Greenville. Carol had been employed by the Children and Youth Services of Venango County and has finished her working career working for MCAR as an aide to those with special needs. She had attended the Calvary United Methodist Church, Greenville. Carol is survived by a son, Christopher Jones , Greenville; a daughter, Heather Jones, Greenville; two grandchildren, Kailee Francisco and Morrison Clover-Jones. She was preceded in death by her parents; a sister, Pat Miller and a brother Micky Krumpak. Arrangements have been entrusted to the care and direction of the Robert L. Snyder Funeral Home and Crematory, Inc. 3223 Perry Hwy., Sheakleyville.